Home Can we dream of a cup treble? Can we dream of a cup treble? With both FA and EFL Cup progression assured last week, we now find ourselves in the enviable position of being one of only two teams that are still in three cup competitions. And while Man City are still in with a chance of nabbing a second premier league title on the trot (shudder), we’re more or less resigned to the fact that our league campaign this season is all about Champions League qualification. But let’s forget the bread and butter for now and dream a little as we ponder our chances of a cup treble. Yes, we’re going there because we’re good enough to go all the way. The Europa League could throw up a banana skin, but we’ve got nothing to fear from the teams left in the competition. We’re not sure what odds you’d get on us to win all three cups, but as far as footy accumulators go, it would be a pretty damn good one. City and United in the domestic cups? Yeah, we can do it alright. It’s true that we’ve only faced Nottingham Forest and Sheffield Wednesday so far, but the signing of a much-needed striker bodes well for our chances of lifting the FA Cup this year. With Higuaín replacing the Madrid-bound Morata, our options up front—although still limited—have improved tenfold. There were always doubts hanging over Morata, regardless of how he hit the ground running; but Higuaín is a different kettle of fish that adds proven quality to the frontline. 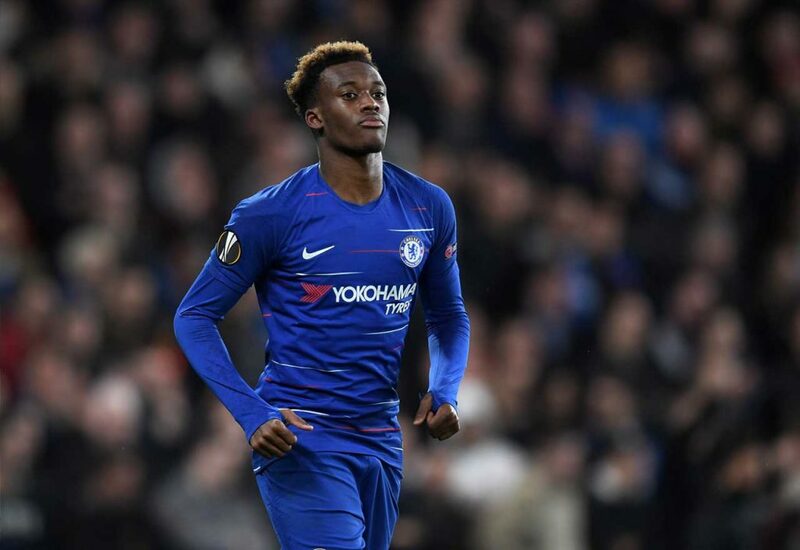 Want-away Callum Hudson-Odoi was a shock inclusion in the squad for the dismantling of Wednesday. But his goal—and the fact that Sarri seems intent on keeping him in the squad—could mean that the 18-year-old stays put. In fact, he might even fancy his chances of a place on the bench for the visit of Man United in the fifth round. United are on a bit of a streak right now, but they have yet to come up against anyone of note since Solskjaer’s return to the club. Yes, we know they beat Arsenal, but (as we said) they have yet to come up against anyone of note. If we beat United (which we will), the only team left for us to worry about is Man City. At this point, you can forget the giant-killing minnows, because the fifth round is where managers start to take the cup seriously. Unless we meet them in the quarters or semis, expect to see a Chelsea vs. Man City final. So, this has the genuine look of a dress rehearsal for the FA Cup. But with City still in the hunt for the league, the game at the Etihad on February 10th will likely be of more importance to Guardiola. There’s no doubt that City have quality throughout the ranks, but the league and Champions League remain their priority. Guardiola has stated that he wants to win everything, but he would ever say anything otherwise? They won’t play an under-strength team in the final, but they will hold back a little. Pep has a fear of losing the league to Klopp, and he’ll protect his players to prevent that from happening. Chelsea to win by a goal. Napoli, Inter Milan, and Sevilla are the only three teams that we need to worry about in this competition. Who else is there? Lazio are no great shakes, while the ‘mighty’ Arsenal are all over the place right now. Now, there still may be some way to go, but this is a competition that we have every chance of winning—and winning comfortably. Yes, there’s a chance of hitting that banana skin on the road, but over two legs we should be able to beat anyone left in the last 32. Better yet is the fact that, due to a rule change last summer, Higuaín is available to play. Between himself, Willian (who is finally hitting some form) and Hazard, we should have this cup in the bag. A Chelsea vs. Napoli final would be ideal, with both Sarri and Higuaín up against their former employer. Gonzalo to score a last-minute winner. Can we do it? You better believe it. Will we do it? That’s another story. But if we keep Hazard fit and get the most out of Kante wherever he plays, then we have a great chance of a cup treble. You read it here first, folks.